Who said twins have all the fun? Luke’s twin is super-evil and super-annoying! What’s the deal with Luke’s super-awful family? His brother is a superhero, and that’s a nightmare already. 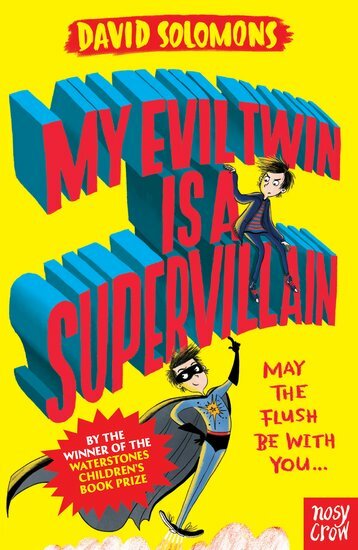 The last thing he needs is a long-lost twin brother from another dimension: a twin who also has superpowers! Aaarrgh! So when Luke meets Stellar, he’s suspicious. No one travels through time and space without a plan. (Usually an EVIL one.) What does Stellar want? And why is he such a pain? From his superhero hair to his rocket-powered shoes, he simply has to be stopped! Suspense, danger, aliens, sibling rivalry and big laughs!